Peel potatoes, cut in half and place in a medium size mixing bowl. Rub in salt, pepper and paprika and coat well. Then, add olive oil and mix until well coated. Remove pan from oven, line with baking paper and evenly place potatoes cut side down. Roast for 20 minuates then pop in the fresh rosemary and cook a further 5 minutes. Serve. 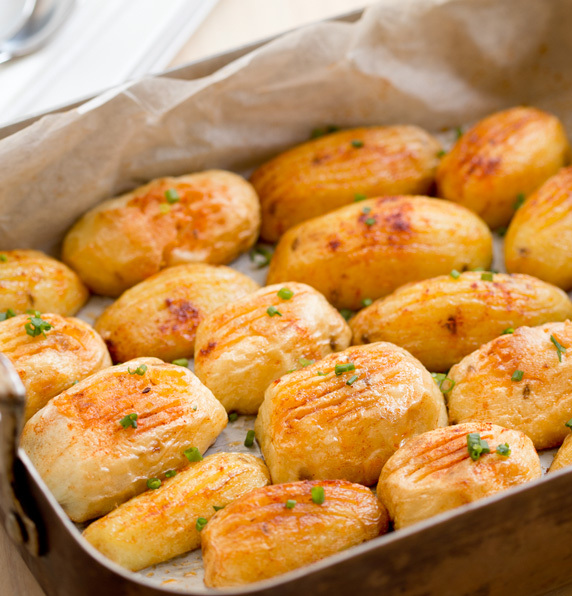 TIP: Preheat oven with tray before adding potatoes. A hot tray will ensure even cooking and crisp the underside of the potatoes. Toss cold leftover potatoes in salads or eat as a straight up, healthy snack.